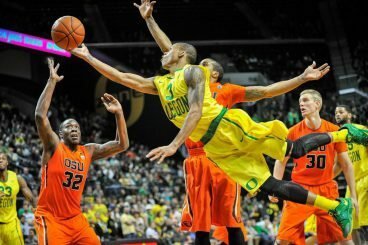 Last night, the Ducks annihilated the Buffaloes with an emphatic 73-60 victory at Matthew Knight Arena. Oregon, which recently had a four-game win streak snapped by UCLA, finished on a powerful note by not allowing Colorado to edge its way back into the game in the second half. With the NCAA Tournament coming closer and closer each day, it was pivotal for the Ducks to bounce back from a tough loss in Los Angeles and get back to their “winning” ways. Joseph Young scored 23 points in one of his last games with Oregon. Young has truly been a pivotal player for the Ducks since the first day he arrived in Oregon. This showdown started with the Ducks falling behind early in the game 11-4. However, Oregon came back and played quickly, building a 39-22 lead by the end of the first half. In the second half, Oregon transformed a 17-point lead to a 20-point lead, but this didn’t last for long as Colorado went on a shooting spree causing them to be down only five points with four minutes left. The Quack Attack was clutch in the final minutes of the game and outscored the Buffaloes 7-0. GoDucks.com quoted Oregon’s junior Dwayne Benjamin as saying that the team was “better today than we were the last game, and that’s why we got the win.” Benjamin was referring to the defense and how they played smart and lock-down defense against Colorado towards the end of the game. Elgin Cook, another junior for Oregon, added to Benjamin’s statement by saying that, “We just wanted to stay in the fight.” At the end of the day, Oregon played great basketball and secured a solid win in the first of its last two home games. 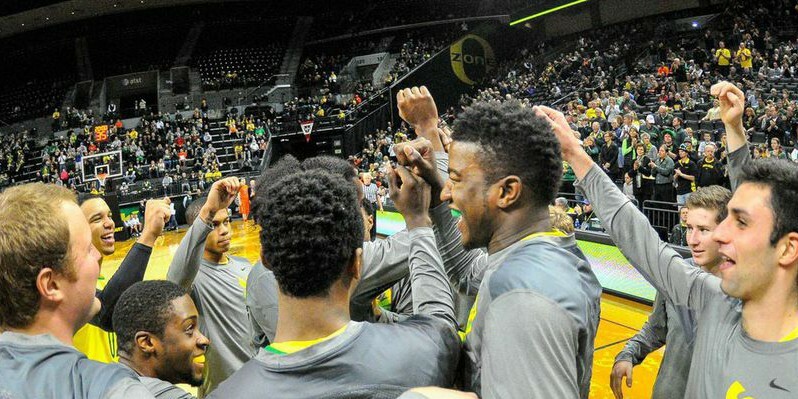 Next up, Oregon will face off against Utah on Sunday at noon at Matthew Knight Arena. This will be the Ducks’ last home game and will be senior night for the four seniors on the team. Jalil Abdul-Bassit, Tim Jensen, Anthony Piganelli, and the one and only Joseph Young are the seniors who will be playing their last game with the green and yellow warriors. With that in mind, all of us here at FishDuck.com highly encourage Duck or basketball fans to attend this last home game, and support one of the Ducks’ last performance before they (hopefully) head off to the NCAA Tournament.